The curator Kateryna Mishchenko will give a guided tour around Gray Cube exhibition at 17:00 (in English) and at 18:00 (in Ukrainian). The tour will be followed by a meeting with the artist Ghenadie Popescu (Moldova). Exhibition Gray Cube focuses on the phenomenon of corruption, which is usually associated with political or sociological issues and has artistic potential. Paraphrasing, obscuring, allusions, creating secret sign systems – these forms of corrupt behavior can be perceived as artistic techniques that add fiction to the present, transforming the everyday into an absurd adventure. Placing themselves within a gray democracy and gray economy, artists examine the way the logic of corruption interweaves the social fabric. They make its anthropological, historical and aesthetic dimensions visible. 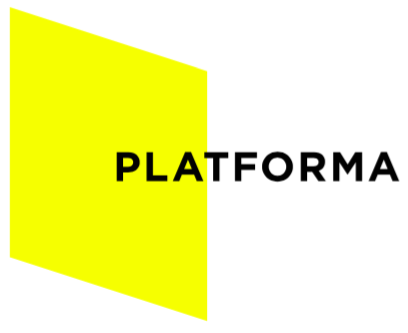 Participants: Oleksandr Burlaka, Leon Kahane, Dana Kosmina, Stanislav Menzelevsky, Anna Onufrienko, Ghenadie Popescu, Oleksiy Radynski, Hito Steyerl, Oleksandr Teliuk. Open hours: Tuesday–Sunday, 14:00–20:00. Monday – closed. The lecture by Taras Fedirko will take place within the framework of Gray Cube exhibition. Since the beginning of the 1990s, a struggle with corruption has become part of the numerous programs of international development, subject of global civil society campaigns, as well as the condition for international assistance. According to the anthropologist Steven Sampson, the whole “industry of anti-corruption” has grown since that time, and its “warriors of virtue” have chosen transparency as their main weapon. Why? How exactly do anti-corruption activists, officials, international organizations’ employees and donors recognize corruption, built strategies of fighting it, and why do they treat transparency as a key to political and economic development? To put it differently, it is important to understand how corruption and transparency are turning into “global abstractions” in the context of particular organizations’ operations. In his lecture, Taras Fedirko will explore the establishment and development of the Extractive Industries Transparency Initiative, the history of which will help to understand the role of global abstractions in the emergence of the international anti-corruption industry. The analysis of this case will help to develop a critique of anti-corruption knowledge – concepts and theories of political corruption mechanisms and transformative potential of transparency that have become the basis for turning the abovementioned Initiative into the global model of anti-corruption policy, applied in 50 countries, including Ukraine. Taras Fedirko is a political anthropologist, a fellow researcher at the Social Anthropology Department at the University of Cambridge. He did his ethnographic research in one of the British government departments and among anti-corruption civil organizations in London. At the moment, Fedirko is working on the book about the transformation of governmental structures and practices in Great Britain under the influence of international anti-corruption organizations’ and corporations’ lobby. 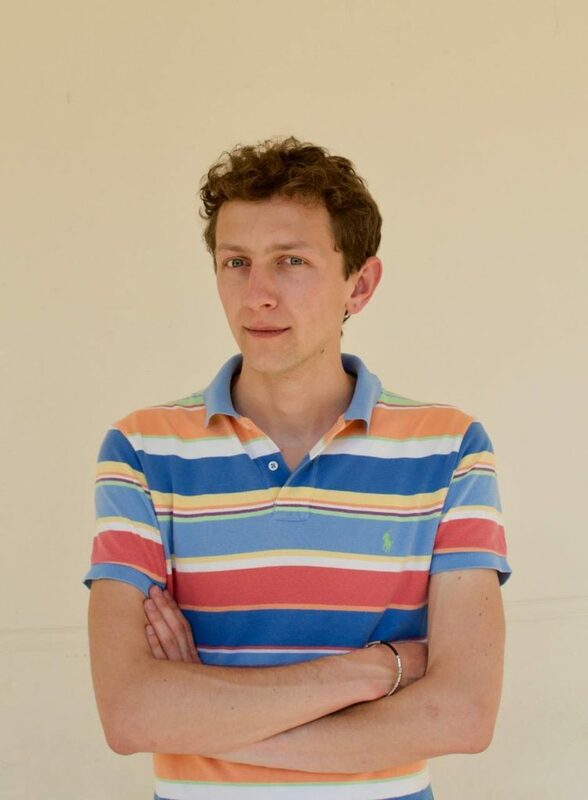 In Kyiv, he is working on his next research on the practices and concepts of free speech in Ukrainian journalism. 23 September, 19:00. Oleksandr Morozov. Cut & Kickback. Corruption in the Rhetoric of the Officials and Civil Movements in Post-Soviet Countries. Oleksandr Morozov is a political analyst, a teacher at the Ruhr-University Bochum, Germany (2014–15), contributor to Deutsche Welle (2015–16), co-organizer of the Centre for Russian Studies at the Charles University, Prague, Czech Republic. 24 September, 17:00. Zakhar Popovych. From the Soviet Informal Economy to Today’s Systematic Corruption. The lecturer will answer such questions: Why did the restoration of capitalism in the USSR and the People’s Republic of China follow such different trajectories? What was so specific about the business of the Soviet gray bourgeoisie? How and when did the Ukrainian offshore business model and systemic corruption begin to emerge? Should we focus mainly on corruption, or, more generally, on a socio-economic system which includes the tax liberation of big business, unlimited withdrawal of capital, and effective system of countering foreign investments in Ukraine? Zakhar Popovych is a Ph.D. in Economics, deputy director of the Center for Social and Labor Research (Kyiv), researcher of the Soviet bureaucracy. 24 September, 18:00. Lecture by Yuliia Yurchenko Corruption and Law in Post-Soviet Ukraine followed by a discussion. Corruption in Ukraine expresses itself in various forms: it is a mechanism for capital accumulation, a form of economic protectionism, and an integral part of neo-liberalism. In the 1990s, informal relations and transactions were vitally important. They arose from the existing relations between the state administrative apparatus, the rudiments of the capitalist class and the security agencies, and eventually turned into legalized forms – such as non-payment and tax evasion, systemic nepotism in privatization processes, etc. The lecturer will question corruption as a phenomenon and as a concept, as well as explain the connection between corruption and neo-liberal reforms in the Ukrainian context. Yuliia Yurchenko is a Ph. D. in Political Economy, a researcher at Greenwich University, UK. She specializes in the political economy of Ukraine in the post-Soviet period, regulation of international trade, international lobbying, capital accumulation and EU renewable energy policies. Visual Culture Research Center launches the Nomadic School for Visual Education – educational program on contemporary art for pupils. On September 18, 2017, the first experimental course on contemporary art for 7th-grade pupils started in Mariupol at the Secondary School-Lyceum of Information Technologies # 69. 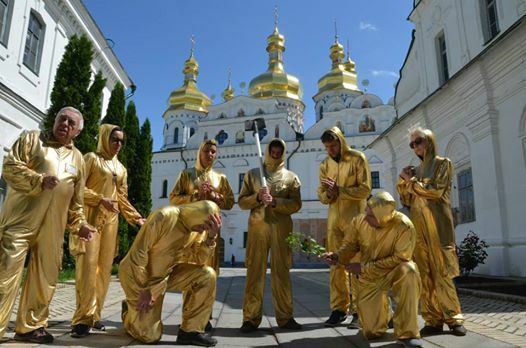 During the course, the nine contemporary Ukrainian artists will familiarize pupils with the strategies and problematic of contemporary art, as well as teach to analyze artworks and visual images. Within the program, the pupils will acquire the skills of understanding the visual image and artistic expression. At the lessons, pupils will learn who Marcel Duchamp and Joseph Beuys are, what installation, performance, social sculpture, and ready-made are, as well as why the mistakes can be more valuable than the right answers. Practical classes with the artists, development and creation of common projects in different artistic media will be part of the program, too. Understanding of art always requires going beyond the limits of the established mental structures. That is why efforts aimed at the image perception facilitate the development of social skills – openness to a different viewpoint, willingness to overcome your own stereotypes and prejudice, and critical thinking. Through the interaction with artists, pupils will learn to understand art as a means of communication and mutual understanding, as a tool for self-reflection and comprehension of the surrounding reality, as well as the possibility of its transformation. Among the teachers: Zhanna Kadyrova, Alevtyna Kakhidze, Borys Kashapov, Oksana Kazmina, Lesia Khomenko, Maria Kulikovska, Sasha Protiah, Yevhen Samborskyi, and Maria Vorotilina. Opening on Friday, September 8, at 19:00. The phenomenon of corruption, which is usually associated with political or sociological issues, has artistic potential. 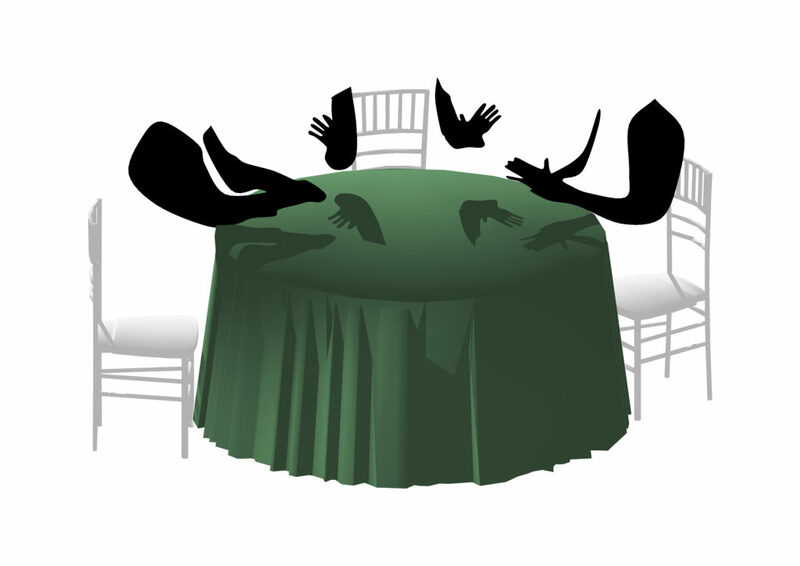 Paraphrasing, obscuring, allusions, creating secret sign systems – these forms of corrupt behavior can be perceived as artistic techniques that add fiction to the present, transforming the every day into an absurd adventure. Placing themselves within a gray democracy and gray economy, artists examine the way the logic of corruption interweaves the social fabric. They make its anthropological, historical and aesthetic dimensions visible. 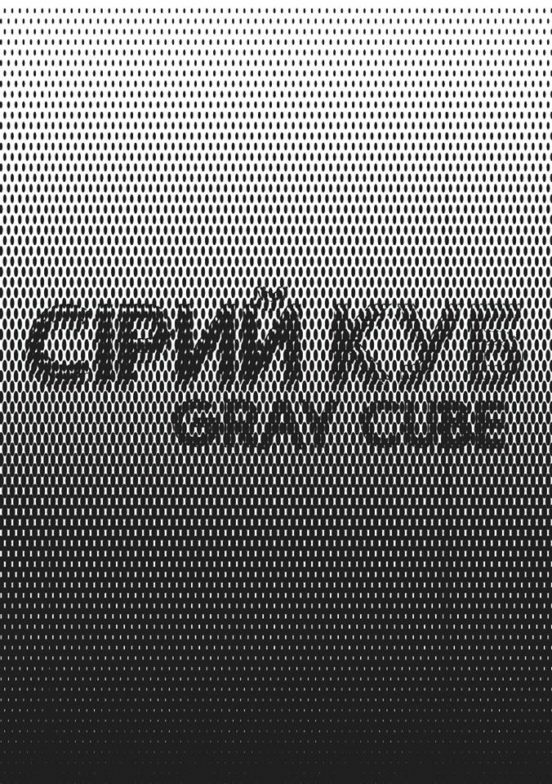 Gray Cube, the result of the transformation of the gallery’s “white cube”, represents, among other things, an artistic focus on gray zones of the post-soviet context, often defined by corruption and lack of transparency. However, this characterization itself becomes a subject of critical consideration. At the same time, in the Gray Cube corruption is regarded as a structural part of contemporary economies. 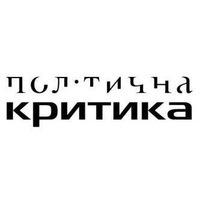 A series of public events on the economic history of Ukraine, as well as on the cultural analysis of anti-corruption policies and rhetoric in post-Soviet countries, will take place within the framework of the exhibition. 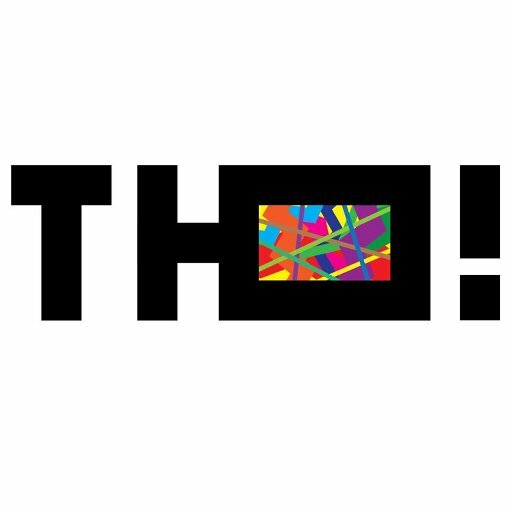 Gray Cube will also open in Mariupol (Platform “ТЮ!”, 16 September), Kharkiv (Kharkiv School of Architecture, 6 October), and Chisinau (Bunker Gallery, 17 October). Open hours: Tuesday–Sunday, 14:00–20:00. Monday –​ closed. Biblioteq Mdulair is an orchestra made of some 15 analogue function generators for four hands played by Emma Souharce and Daniel Maszkowicz. 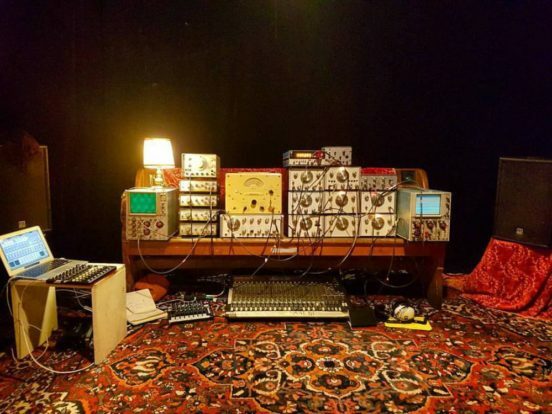 With its oscilloscopes, sinusoidals, and frequency sweeps, Biblioteq Mdulair is a sound installation producing all kind of waveforms, exploring vibrations, tickling resonances, and creating breathing beats. Those primitive electronics machines bring the sound space down to a magma of waves for a dizzying acoustactile experience. The Synkie is a modular open source analog video processor, developed by Michael Egger, Flo Kaufmann and Max Egger. Like the venerable modular Moog synthesizer it lets you toy around with the signal using patch cables – but this time not producing sound but images. It is an instrument for video, a playground, a platform to explore new ways to transform a video signal. The public that will enter this intense and fascinating laboratory for sensorial experimentations will be brought down to various atmospheres, from a soft stroll to an earthquake. Artist and filmmaker Oleg Mavromatti will be talking about his films and his Post-cinema Manifesto written together with artist Boryana Rossa. The manifesto reflects their fascination by the YouTube culture, which gives unique opportunities for filmmaking, not known before. The manifesto explains how new technology and its social impact change the way we see and express the world through moving images. 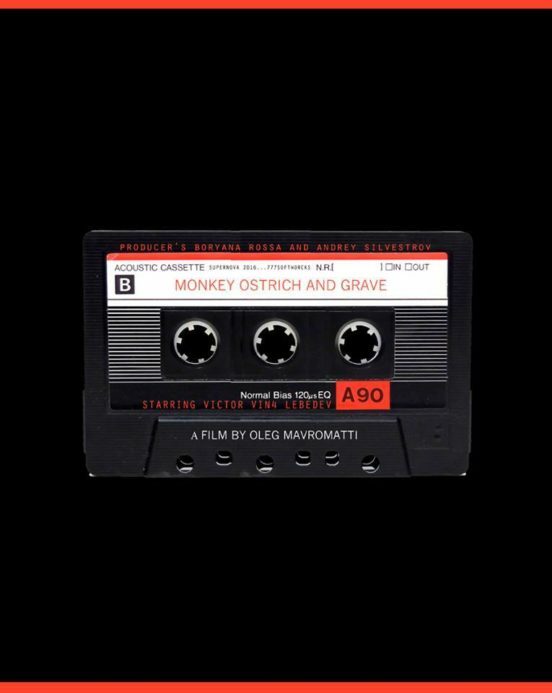 Mavromatti will illustrate his lecture with excerpts from his last film Monkey Ostrich and Grave (2017) and the earlier No Place for Fools (2015), which has already had international success and is created entirely off of YouTube videos. Mavromatti will relate these new films to his Bastards (2000) which is definitely a predecessor of the new ones, being some sort of prophecy of how media and society will develop in the new era of mobile Internet and vlogging. 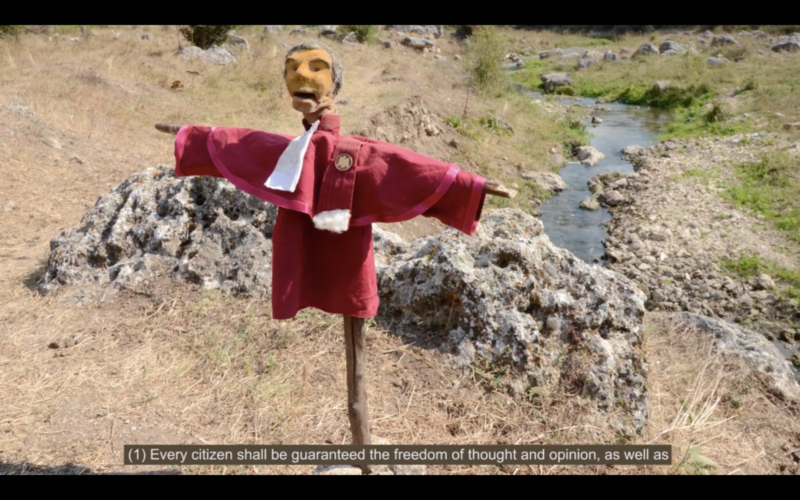 Monkey Ostrich and Grave is the story of the video blogger Genadi Gorin of Lugansk (the capital of the new republic, which appeared during the Russian/Ukrainian war in 2014), whose life floats parallel to the horrific reality of the unfinished conflict. This is a film about the people, who live in places of endless wars – wars, forgotten by everybody: the world news, the politicians, and the human rights organizations. Many of them have no other option but to continue living together with these wars, desensitized to the destruction around them and constantly burying their own suffering in the sub-conscious. This hidden pain, one can’t get rid of, sublimates in intimate revelations to the online audience and in fantasies about revenge. Gorin expresses this in the variety of art genres – from comedy to horror, from drawings to magic. His story is thick of surprising tales and events that merge reality and dream. A discussion with Oleg Mavromatti and Skype conversation with Viktor Vin4 Lebedev will take place after the screening. Oleg Mavromatti is an artist, representative of Moscow Actionism, filmmaker, producer, and vlogger. He is under federal investigation in Russia for his artistic action Do Not Believe Your Eyes. He has been based in New York since 2012. He runs his own YouTube channel. The opening will take place on the International Day in Support of Victims of Torture, June 26, at 19:00. 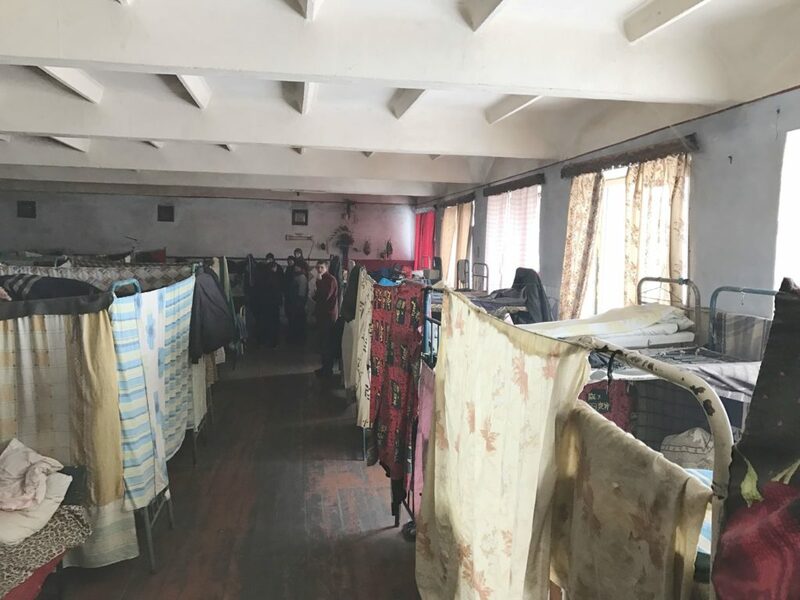 The exhibition will include documentary photography, video, and audio recordings, made by public monitors from National Preventive Mechanism and Ombudsman Office workers during their short-notice visits to custodial settings. Restrictions of freedom are often used by the state as an instrument for punishment, rehabilitation, treatment, and care. The classified sites are not only colonies, detention centers, and prisons are, but also orphanages, certain medical facilities, military units, retirement homes, and even airport transit zones. The inequality between the mentors and the mentees seems natural to those who are on this side of the wall. We know almost nothing about the life “there,” as the detainees, who choose to complain about their living conditions, or about the way the penitentiary system workers treat them, can be punished even more severely. The exhibition is open: Tue–Sun, 13:00–20:00. Monday – closed. Discussions, lectures, and screenings will take place within the project. The program will be announced further. 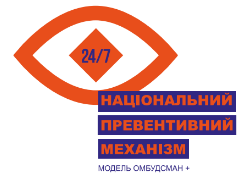 On the 26th of June, at 14:00 the results of custodial settings monitoring in Ukraine will be presented at Visual Culture Research Center. The discussion about the situation with torture at such places will follow with participation of Kateryna Chumak (Head of NPM department at the Ombudsman Office), Maryna Homenyuk (NPM monitor, program coordinator at “Ukraine without Torture” NGO), Tetyana Pechonyk (NPM monitor, Head of Human Rights Information Centre board), Yevhen Levantsov (member of NPM department team at the Ombudsman Office). According to experts, nearly 10 % of the convicted, who serve their sentence, are not guilty. They have practically no chance for a just post-conviction review. At the detention centers, correction centers, and prison colonies of minimum, medium, or maximum security levels, all those institutions we usually call “prison” or “jail,” the inhuman treatment of the detained and unpunished violence on part of the administration are very common. Consequently, being driven to despair, prisoners are ready to inflict injury on them, or even commit suicide, which is basically their only chance to draw our attention to inhuman detention conditions. 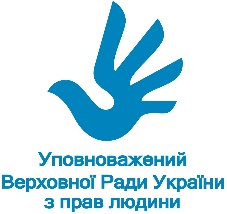 During the debate we will discuss the penitentiary system in Ukraine and principles of its work; whether there are alternatives to such approach around the world; a practical dimension of the problems, faced in custodial institutions; social stereotypes about former prisoners and criminals and role of the penitentiary system in this kind of stereotyping. Andriy Didenko, an expert at Kharkiv Human Rights Protection Group, a former prisoner. Oleksandr Fedoruk, penitentiary system expert at Association of Ukrainian Human Rights Monitors on Law Enforcement. Maksym Butkevych, coordinator of “No Borders” project at “Social Action Center” NGO. Documentary film Experimentum Crucis tells a story of the everyday life at Kazakh juvenile prison. Cameraman and one of the film directors, Taras Popov, used to work as a psychiatrist at this prison in 1983–1995. High level of credibility between the protagonists and the author gives the opportunity to see the establishment, order, and relationships within the colony, learn about life and death practices of its residents. The discussion will be focused on the issues in filming at closed institutions: what ethical questions and practical difficulties can arise before the film crew? Illya Gladshtein, co-founder and program director of the International Festival of Film and Urbanism “86.” Nataliya Mashtaler, documentary filmmaker. 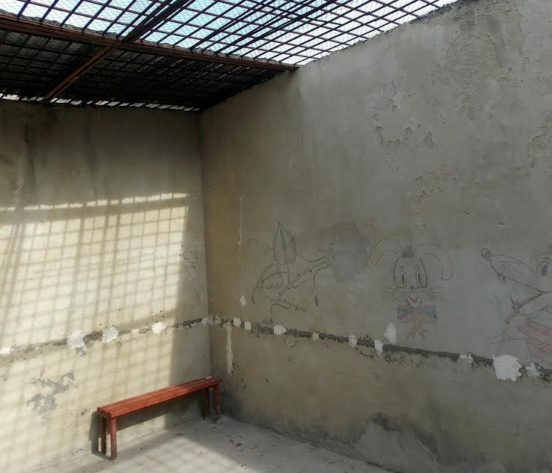 The structure of space – grating, bad living conditions, restriction of private space to the size of the bed – makes psycho-neurological foster homes and mental health institutions similar to detention centers or correctional facilities. This is accompanied with the fact that residents of such institutions, who are considered to be disabled, cannot act as full-fledged subjects – use their pensions, dispose of their property, and even defend their own dignity. 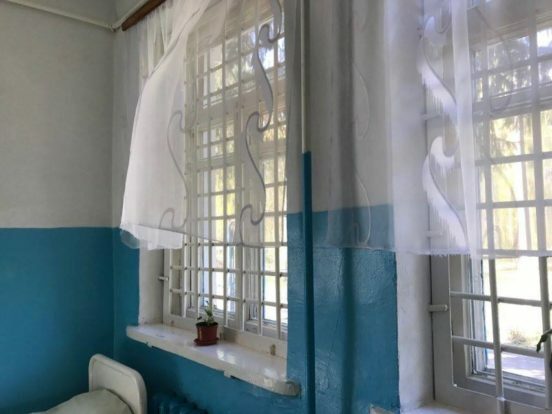 According to the law, they can complain about their living conditions, but in a very dubious way – through their custodian, who is usually the head of the mental institution itself. It seems that the main function of psychiatric asylums is to isolate their residents, as the latter ones live in prison conditions. Larysa Samsonova, NPM monitor, head of the “Rodyna” fund board. Olena Tsarenko, television journalist, social manager at the Coalition for the Protection of the Rights of Persons with Disabilities and Intellectual Disabilities. Volodymyr Shurduk, psychiatrist, forensic psychiatric medicine expert, chief consultant at the Ukrainian Parliament Commissioner for Human Rights office. Discussion: From Baby to Adult: Whom is Social Care Being Oriented to? Such basic things as public transport, comfortable public space, subsidized loans etc., remain the privilege of capable and employable individuals. Vulnerable populations, such as the elderly, the disabled, orphan children, can only hope for charity. As we know, foster homes receive much more attention and help from benefactors. At the same time, geriatric homes, nursing homes for the elderly and the disabled, as well as hospices are left out of public attention. The purpose of the discussion is to draw attention, discuss and understand what a concrete person or organization can do to ensure the rights of such institutions’ residents and improve their living conditions. 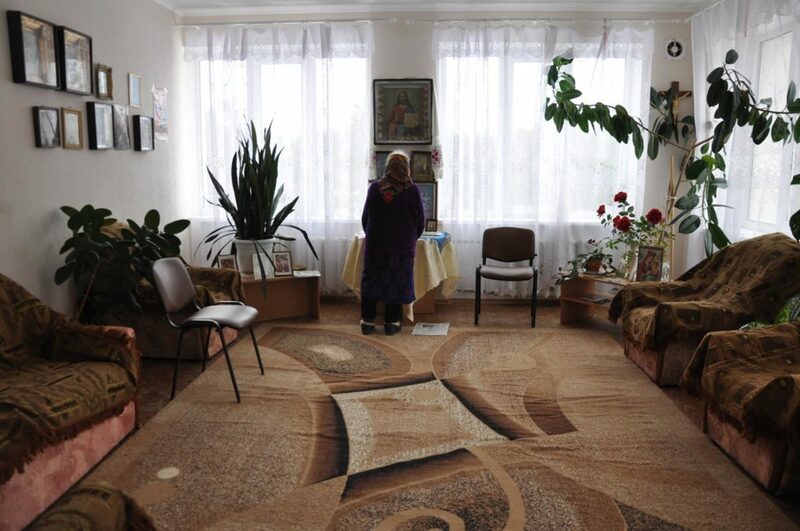 As well as talk about the phenomenon of aging in Ukraine and in the world. Maryna Homenyuk, NPM monitor, program coordinator at “Ukraine without Torture” NGO. Maryna Maslova, researcher of the quality of life in later years, head of EXECUTIVE MBA at Kyiv-Mohyla Business School. Oksana Dutchak, sociologist, a Ph.D. candidate at the Department of Sociology at Igor Sikorskyi Kyiv Polytechnic Institute, a researcher at the Center for Social and Labor Research. The Custodial Settings exhibition is open at Visual Culture Research Center untill the 9th of July. It includes documentary photography, video, and audio recordings, made by public monitors from National Preventive Mechanism and Ombudsman Office workers during their short-notice visits to custodial settings. Curated by Ruslana Koziienko, Natalka Neshevets. Since ancient time people have been making projects of ideal cities, in which they reflected their conceptions of beauty, coherence, and virtue, as well as architectural harmony and social justice. Their authors believe that architecture of a form can not only change the life of people by making it more comfortable but also change the society as a whole. However, urban utopia, as every other one, can sometimes depersonalize and oppress human individuality. Jean-Marc Stébé is Professor of Sociology at the University of Lorraine (Nancy, France). He studies social and spatial fragmentation and urban utopias. He authored such books as Social Housing in France, Urban Sociology, What Is Utopia?, The Suburban Crisis. This lecture is a continuation of the program Social Inequality, Parity and Urban Care: From Reality to Utopia, developed by the French Institute in Ukraine. Working language is English with consecutive interpretation into Ukrainian.